Carrot & Stick's work is a partnership between form and function, old-fashioned sensibility and newfangled design. Susie and Julie design stationery and products that they want to use: cheerful note books to throw in a purse or to keep by the phone; paper place mats to dress up outdoor dining or to use for dinner in front of the TV; place cards that inspire the hostess to pull out her “good” china and play matchmaker with the seating chart; gift cards which really do make it better to give than to receive; and finally, folded notes, because a handwritten note is always appreciated. 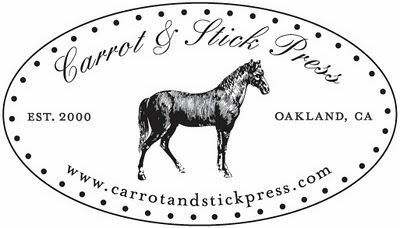 Carrot & Stick's work has been featured in many national publications including Vogue, Martha Stewart Living, Harper's Bazaar, and The New York Times.